Mark your occasion with this unique, personalised ring that holds two special dates! 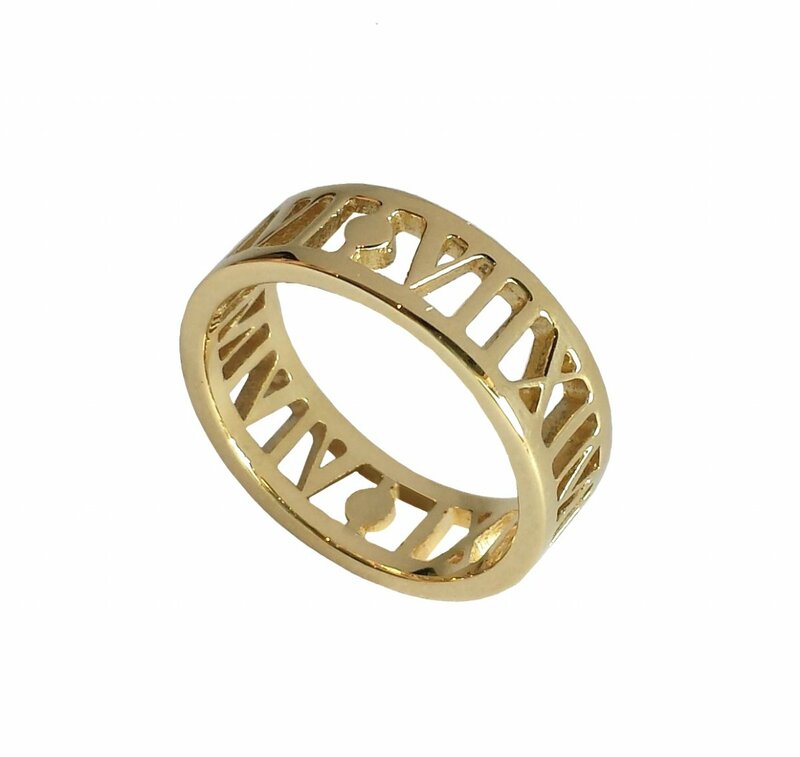 Your custom Roman numerals can symbolise two children's birthdays, a loved one's birth and death, or any other two sentimental dates. Select from sterling silver, white gold, rose gold or yellow gold and your preferred carat: 9ct, 14ct or 18ct. This ring is available in a matt or polished finish, with either a 5mm, 6mm, 7mm or 8mm wide band and can be made in any finger size above N.